Visiting vibrant, beautiful Macao is a once-in-a-lifetime experience for the traveller seeking a captivating adventure. Nestled away next to Hong Kong, in China’s south-east corner, Macao is an independent territory internationally renowned for its unique east-meets-west charm. From travel tips and guides, to events and festival information there is something for everyone at Visit Macao. With a distinct character combining creativity, leisure and dining, Macao provides a diverse range of experiences, including its own brand family-friendly and cultural-tourism fun. The Macao Government is proud to promote Macao as a world-class travel destination which is open and available to travellers from around the globe. Visa Entry is free to 74 nationalities across the globe, including Australia and New Zealand. Find out more about Macao’s visa requirements now. Visit Macao today and you’ll be guaranteed a medley of memories and experiences, suitable for the whole family. Find out more about this bustling mecca and book your next travel adventure today. From its mix of delicious cuisine and colourful centuries-old architecture, to its contemporary resorts and world-class entertainment spots, this historic former Portuguese enclave has all the ingredients to captivate the imagination. Looking for travel tips on Macao? At Visit Macao Travel Tips and Guides, we’ll take you through a comprehensive guide of all there is to see and do in Macao. We’ll give you a detailed guide on the best attractions that Macao has to offer and the places you absolutely have to see during your Macao tour. We also offer visa advice and entry requirement information. Thanks to the territory’s jam-packed yearly calendar of cultural, entertainment and sporting events, there is something for everyone at Visit Macao Events and Festivals. We give you an all-inclusive look at what’s on in Macao for the year ahead. From culinary festivals and film festivals, to the Macau Grand Prix, all the information you need on Macao tourism can be found here. Get in touch and let us make it easy for you to plan your next visit to Macao today. Find out more about the great Macao Holiday packages exclusively available to the world-traveller now. From travel deals to package trips, find your ultimate Macao holiday tour package today. Learn more about Macao’s rich history at About Macao. A centuries old story dating from its Portuguese colonisation roots to its awakening as one of the world’s most adventurous and top-class destinations. Experiencing Taipa Village allows the Macao traveller to experience the true authenticity of Macao thanks to its historic roots. Taipa Village, based on Taipa Island, will transport you back to a simpler time in Macao’s history and allow you to experience the best cuisine and ancient architecture that Macao has to offer. In order to celebrate the 20th anniversary of the establishment of Macao SAR, we’re calling for a vote for Macao New Eight Scenic Spots that represents Macao’s new landscape and achievements. This vote is organized by the Chinese Cultural Exchange Association. The voting period would be from January 15th to February 28th 2019. All people over the world can vote for their top 8 preferences of scenic spots in Macao, out of 20 candidates. Additionally, those who vote are eligible to join the lucky draw for wining various prizes. Let’s Time Travel in Macao – this year Macao Light Festival will be staged from the 2nd to 31st of December. A glittery journey across time and space in Macao, along with the various light installations, five different projection mapping and interactive games. The Academy Award-winning Nicolas Cage has been appointed by the International Film Festival & Awards • Macao (IFFAM) as Talent Ambassador for the 3rd edition of the festival, from December 8 to 14, 2018. The internationally renowned American actor, director and producer who has visited Macao before, joins Hong Kong-based star Aaron Kwok in the role, reflecting the festival’s ambition to bring together local and international industry professionals, to help highlight Macao’s East-meets-West culture and to introduce local audiences to the best in international cinema. The Asia’s 50 Best Restaurants 2019 events will take place in Macao on Monday 25th and Tuesday 26th of March, with the region’s most acclaimed chefs, restaurateurs, gastronomic journalists and foodies now preparing for the long-awaited announcement of the new list and special awards. This year, the 8th Macao International Parade is one of the main events in celbration of the Anniversary of Macao’s Handover to China. This year, VIVA received a “Secret Order” from the heavens to gather folklore from China and the Portuguese-speaking countires. On December 16 (Sunday), the streets of Macao will come alive with a medley of dance and music in celebration of the handover! Includes: Return Economy Airfares, 6 Nights Accommodation, Transfers, Tours, Entrance with an English speaking guide. Includes: 3 Days, 2 Nights’ staying at -Regency Hotel Macau. Includes: 4 Days, 3 Nights at Grand Emperor Hotel including daily breakfast, return ferry tickets to Macao from Hong Kong and a half day city tour with lunch. There’s much more to see and do, so why not consider staying longer and experience Macao – Your Own Style. For many, there is no better way of exploring this city than on foot. Now, you can explore and discover our destination by heading to “off the beaten track” areas where you’ll experience the true heart of Macao. The “Step Out Macao” Self-Guided Walking Tours is FREE to download on all mobile devices. Let us keep you up-to-date with What’s On in Macao. Stay up-to-date with the latest information including monthly highlights from all Macao’s local events & festivals, hotels, attractions and family activities, entertainment and shows. Located in the oldest yet best preserved area of Taipa, this village was once formerly home to many local fishermen. With its traditional shop houses, quaint cobbled streets and richly endowed with a blend of Chinese and Portuguese architecture, Taipa Village provides all who visit. Nestled on the pristine Nam Van Lake waterfront along the Praia Grande promenade – “Anim’Arte NAM VAN” transforms the Lakeside Plaza into a waterfront leisure hub and is one of the city’s favourite family attractions. ​With a distinct character combining creativity, leisure and dining, it provides all who visit a diverse range of experiences, enhancing Macao’s offering and variety of family-friendly and cultural tourism fun. Macao as you’ve never seen it! 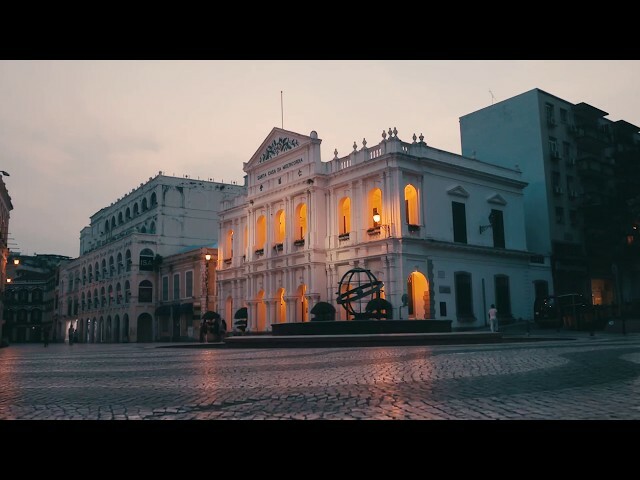 Our friends at Beautiful Destinations had such an exciting and action packed journey whilst visiting Macao and have produce one of the best highlight videos for all to enjoy. The #BDTeam spent their days exploring the Ruins of St Paul’s, Coloane Old Village, Mount Fortress, Taipa Old Village and took in all the excitement of the famous Macao Grand Prix! This is just a small portion of what this culturally diverse destination offers its visitors when choosing Macao for their next holiday. Let us keep you up-to-date with What's On in Macao ​including the latest Holiday Deals and monthly highlights from all Macao's local events & festivals, hotels, attractions & family activities, entertainment and shows.